Whether it's the Vegas Pool Party, or stepping out onto your vacation resort , ladies, you must have a SI_Mee_Collection gown. With sheer elegance and attention to the spotlight, SI_Mee_clients are all too familiar that they own their space for attention. We cater to all sizes, including XXL as we custom make our garments to size. With vibrant colors and one of a kind designs, Si_Mee is the one and only Vegas boutique that is here for the VIP Pool Party ladies. contact us at 702-913-4141 for directions to a wide array of styles. 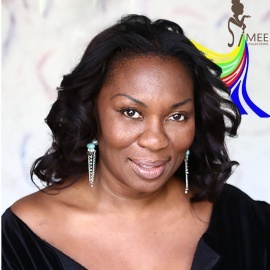 Fashion designer - Rosemarie Macklin featured in (Vogue UK, Vanity Fair, Modern Luxury magazine) is from the Island of Jamaica. She grew up in England where she merged her love for fashion creating period piece designs with Pool/beach wear elegance. April,5th starting at 4pm and again at 7pm End of Winter SALE with FB Live. 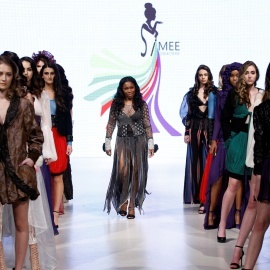 Si_Mee_Collections will be hosting a fashion show live with discount from 50% and more on custom designs. Our New summer line will be amazing and you will have a preview of our new lines.